The troop relies on parents to make the program a success. Parents are frequently asked to support specific events and activities. Significant support is needed to carry out fundraisers, drive Scouts to and from camps, pull the Troop trailer to events, fill merit badge councilor roles, and conduct rank advancement Board of Reviews (BOR). The troop encourages parents to take on support roles, such as drivers and BOR panels, during the first 6-9 months of their Scout’s involvement before taking on a more active role in the troop camp events or in troop leadership. If you are a new parent, the parent guide has a lot of great information for you. BSA has developed an e-learning process.Instructions on the site lead you through the process for introductory training, such as Youth Protection – required for all BSA registered adults. You will also find role specific training as well as event specific items such as Weather Hazards and Hiking Safely.For parents interested in becoming a merit badge counselor and/or other leadership roles, please contact the Troop Committee chair. Following links have additional information, would help you in your role. One of the keys to a successful Scouting experience is trained volunteer leadership. Leadership training provides adults/parents with fundamental information about the aims and methods of Scouting. “Troop 200 University” is initiated to focus on those areas. Green Bar training is to produce adults who understand it is their calling to assistant the patrol leaders and other youth leaders of their home troops to be better leaders and Scouts. Blackfoot is an enhanced training program that combines the contents of Scoutmaster Leader Specific training and Introduction into Outdoor Leadership Skills. You will experience first-hand what it means to apply the Patrol Method, to rely on your fellow patrol members and to learn from them. You will participate in program activities that can be shared with your units. Okama provides all of the knowledge and skills to give effective leadership to a Scouting unit. The focus is on ”learning by doing“, with special emphasis on the patrol formation, team building, troop operation and personal interactions. Each participant is learning how to make the Scouting program both fun and meaningful, and how to support and guide the Scouts as they grow into mature leaders. 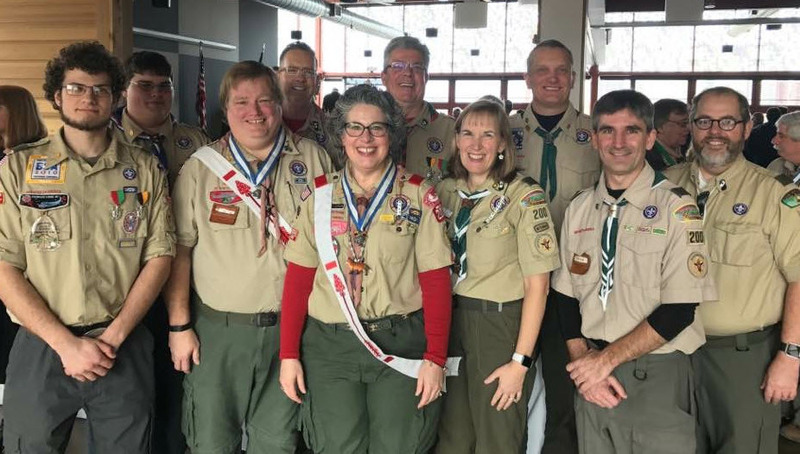 Woodbadge is the highest level of adult leader training offered by the BSA and requires successful completion of one of the above trainings first. This course has an extensive syllabus in leadership skills, conflict resolution and Scouting lore. Many consider Wood Badge as the most meaningful course they’ve ever attended in or out of Scouting.